The Supreme Court is marking the centenary of its building – and 1,000 years of history on site – with a free exhibition that opens today. The building formerly known as Middlesex Guildhall opened in 1913, ironically never sitting within the county's boundaries in its lifetime since it's in Parliament Square. 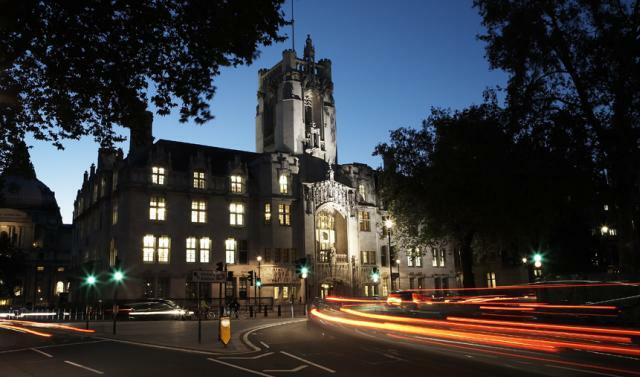 After Middlesex was abolished in 1965, the edifice became a crown court and from 2009 has been home to the UK's Supreme Court. In its earliest incarnations the site was a sanctuary for Westminster Abbey and previous buildings for Middlesex administration and Justices were built from 1805. The exhibition charts the lot, telling the tales of a young man caught spying on Queen Victoria in her bedroom (saucy), a belfry that became a pub and the foreign courts that sat in London during World War Two, as well as silverware, images and artefacts from the archives. And of course, it's a perfect opportunity to see inside one of the more forgotten buildings in one of the world's most famous locations. 100 Years of the Middlesex Guildhall exhibition is open at the UK Supreme Court, Parliament Square, weekdays until 27 September 9.30am-4.30pm. Admission is free.